While Kirill Kostrykin does not deny that many Russians have a negative perception of the West (primarily from a political angle), another reality to be taken into account is another perception of the West among Russians, i.e. the Orthodox West. He mentions the development of devotion toward Western Orthodox saints by Russian Orthodox faithful, something that has actually been encouraged by the Russian Orthodox Church with the inclusion of a number of Western saints in the official ecclesiastical calendar in recent years. Regarding Western rite celebrations in Russia, Kirill Kostrykin mentions an interesting fact. Once a year, on the feast day of Saint Ambrosius of Milan, the Ambrosian Liturgy is celebrated in the Cathedral of the Feodorovskaya Icon of the Theotokos, in St. Petersburg. Otherwise, there are no liturgical celebrations of the Orthodox Western rite in Russia, except possibly in some non-canonical groups. One of them had a parish in Moscow, with the Roman Mass in Latin, but it disappeared a few years ago. 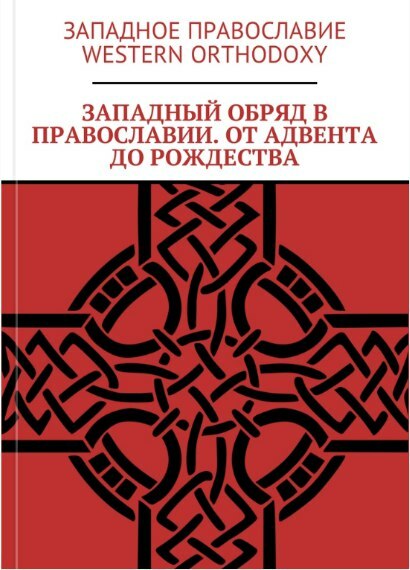 However, Kirill Kostrykin adds that there is a private use of the Western rite by some Orthodox laymen in their domestic prayer, including some participants to the VKontakte group. They recite the missa sicca or the Hours. While some clergymen are reported to be sympathetic, as well as some bishops abroad, Kirill Kostrykin acknowledges that a few Russian Orthodox bishops — in private — expectedly remarked that there was no need for the Western rite in Russia. He reacts by stressing that only a tiny percentage of Russians attend church on a regular basis. Especially in large cities such as Moscow or St. Petersburg, some young people feel an inclination toward the West. In religious terms, this translates into some conversions to Roman Catholicism. (There are long comments on the reasons for such choices, but it would take too much space to summarize them adequately here.) Thus Kirill Kostrykin feels that the Western rite might offer to such young Russians the option of “turning West” while remaining Orthodox. “Russia has never been an exclusively Eastern country, but it has always been open both to the East and to the West.” His dream — shared by other people — is to see some day biritual parishes opened in Moscow and St. Petersburg. While Kirill Kostrykin himself is obviously very sympathetic to the work of Bishop Jean de Saint-Denis, he concedes that some other members of the group are more critical. As already mentioned, however, their interest is not limited to Orthodox Western rite experiments in France, but extends to North American developments as well. Not only are they familiar with the Liturgy of Saint Tikhon, but members of the VKontakte group have translated it from English into Russian in order to make it known. The services of Lauds and Vespers as used by ROCOR Western Rite parishes have also been translated into Church Slavonic. Source: Fr. Clément Heinisch, “Le rite occidental et la Russie. 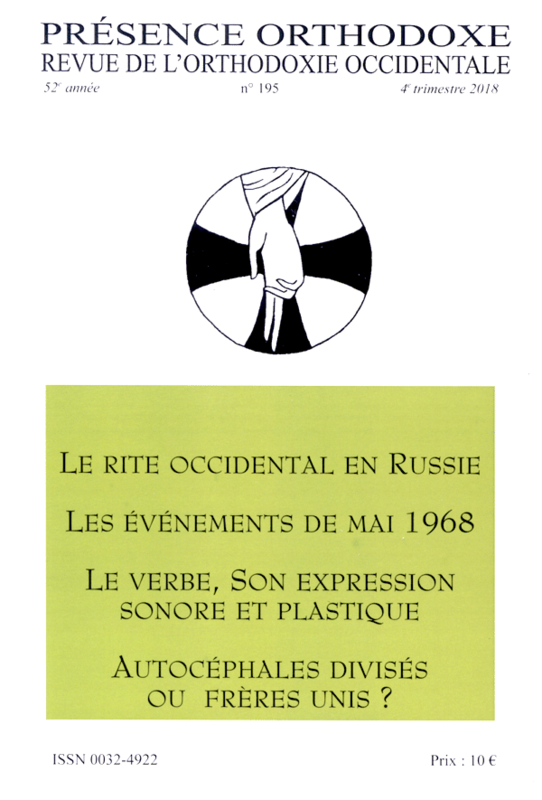 Entretien avec Kirill Kostrykin”, Présence Orthodoxe, 52nd year, No. 195, 4th quarter 2018, pp. 23-42. Présence Orthodoxe is only available in print. There is no online version. Address: Présence Orthodoxe, 96 boulevard Auguste Blanqui, 75013 Paris, France. I would very much like to see Western Rite Orthodox colonies in Russia and other Eastern Orthodox countries as well. With the increasing hostility against traditional Christians in the United States and other western countries, such colonies could be life savers and life preservers. Imagine a Western Rite Liturgy of Saint Tikhon Parish in Russia with the service translated into Russian / Old Church Slavonic. Imagine Western Church Music, Tradition and Architecture married with Eastern Orthodoxy. I can imagine such a situation with much enthusiasm. A new homeland for Orthodox converts with an Anglican patrimony or a Traditional Catholic heritage is much to be desired and hoped for. The whole Orthodox Church would be the richer for it, in my opinion. The great church and monastery building movement in Russia applied to Western Orthodox parishes, schools and Benedictine Monasteries? 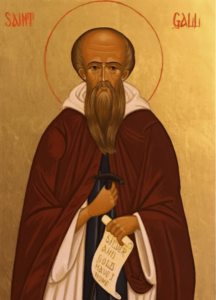 Sign us Western Rite Orthodox converts right up! Keep the Russian practices of weekly confession before each Eucharist and the strict discipline of Russian or Georgian Orthodoxy, and you would really have something! Russia (and other destinations) might be a great fit for transplanting the best of English Church Culture, since the Western World is being lost at a rapid pace. Amen. May it be so!! Russian Faith is one website actively promoting the immigration of Western Christians to Russia. Father Michael Gleason moved to Russia with his entire family in tow. More Americans are following his example. RF has mentioned the example of South African farmers fleeing to Russia to escape the tyranny of their government as a prime secular example of such immigration. Russia holds out the hope of a potential new promised land / refuge for many weary of the depredations of politically correct movements in “western” countries. The west is turning away from Christian Roots and is sawing off the branch they rest upon. A sane and healthy alternative to this “cultural revolution” is sorely needed.